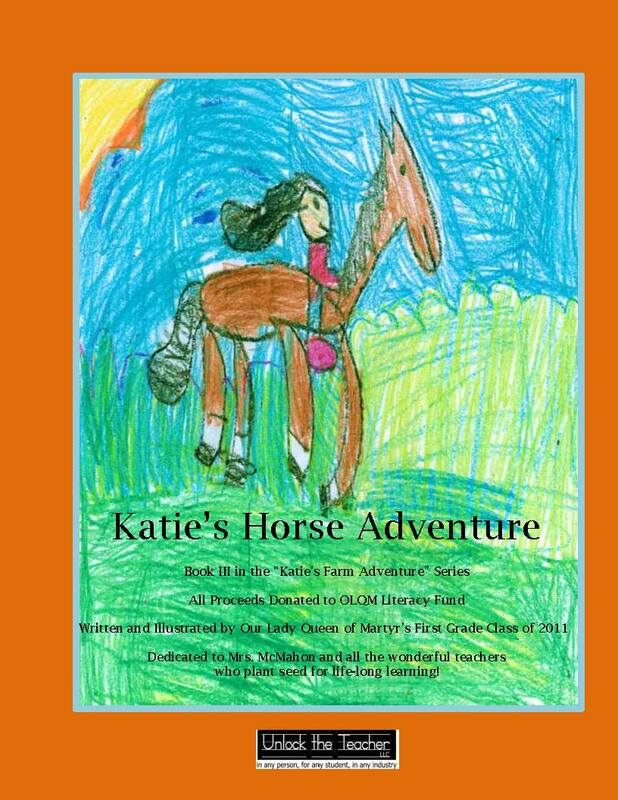 First Graders’ Second eBook Katie’s Horse Adventure is Now Available at Barnes and Noble.com Thank you to everyone who has supported the Katie’s Farm Adventures series. All Proceeds Go Towards Promoting Literacy at Our Lady Queen of Martyrs Elementary School. We have been busy working on additional eBooks to donating to elementary schools for the 2011/2012 school year…stay tuned! If your school would like to have Unlock the Teacher LLC come in and facilitate one of our writing workshop for a class or series of grades, we would be happy to come and share this wonderful writing process that gets children so excited about writing and reading their own work.